Be sure not to miss anything! Sign up for the newsletter for more recipes, competitions,and much more. 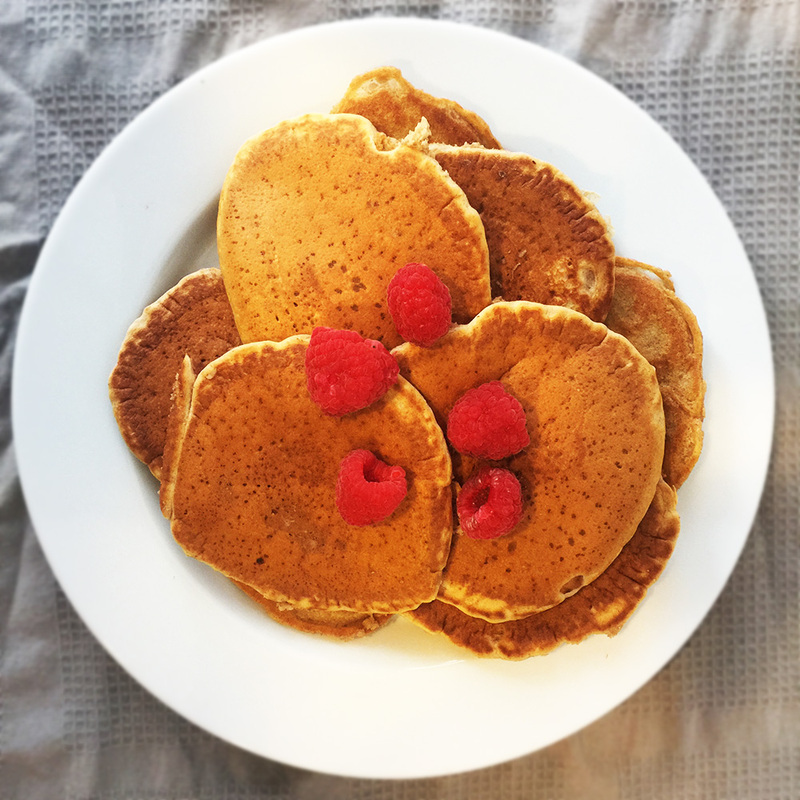 Pancakes are mandatory for any Sunday brunch; in fact, these vegan pancakes are so good they will top all the other dishes. It doesn’t hurt that this vegan recipe is so easy to make either! When I first started my plant-based diet I was surprised how easy it was to make pancakes without the eggs. No replacement needed, just remove them, and the pancakes taste the same, if not better. Why was it eggs in them in the first place? 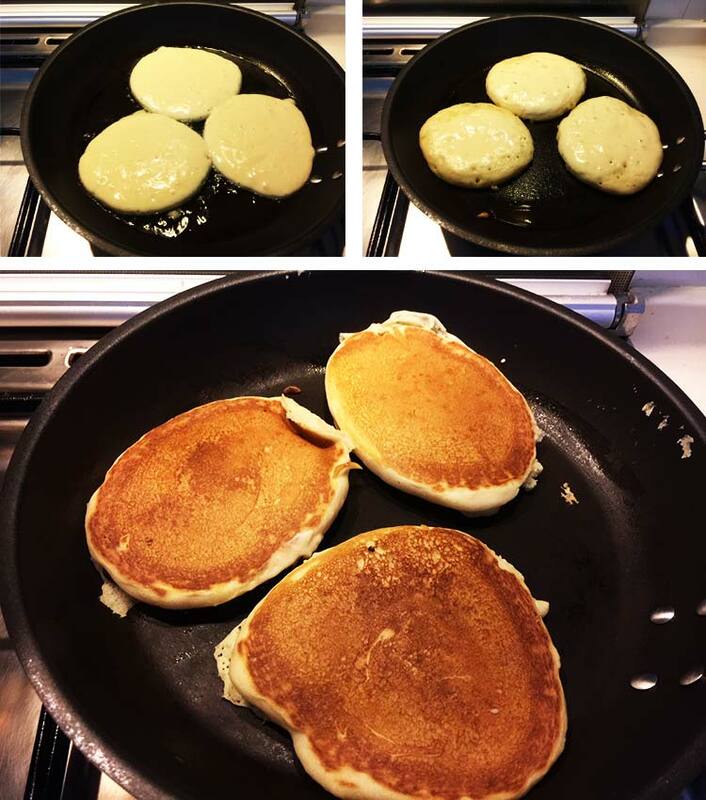 In Sweden, we call these types of pancakes “American Pancakes”. The Swedish ones are much larger, thinner and more crepes-like, but since I haven’t lived in Sweden for some time I’ve become more internationalised in my pancake intake and only make the thinner ones when we do the classic Swedish dish “Yellow pea soup”, where the pancakes are served as a side dish or after the soup. Now, dont’t worry, you won’t have to make anything special here at all, just bring out all the ingredients and start out by mixing the flour, baking powder, salt and the optional cinnamon. Mix it so that you spread the baking powder evenly in among the other dry ingredients. 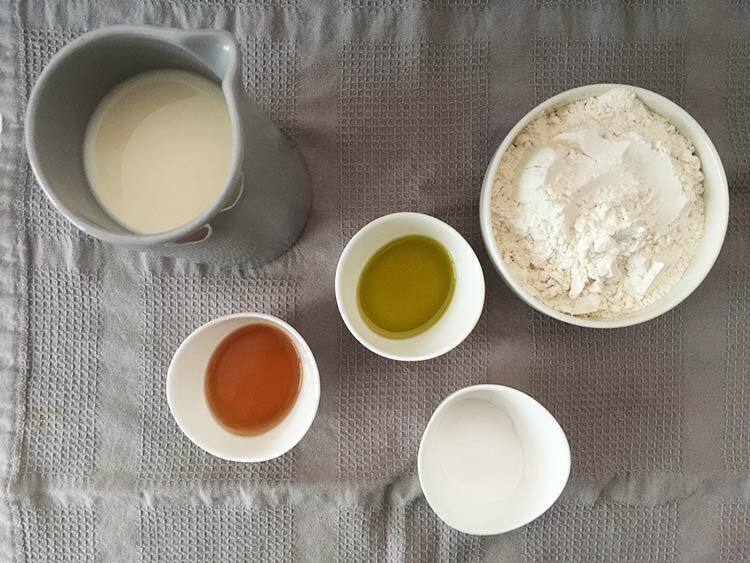 Then add the soy milk (or any other non-dairy milk), oil and syrup and mix everything until you have a lump-free batter. Let the batter rest while you heat up a greased skillet. Add a ladle full of batter to the skillet and fry the pancakes until they start to bubble and dry up, then flip them over and fry until cooked through. Keep in mind that the skillet will get hotter and hotter between frying batches so you might have to adjust the heat so that you don’t burn the pancakes. If they start to stick and become hard to flip over, just add some more oil to the skillet before adding more batter. That’s it! I hope you will enjoy these vegan pancakes. You can serve them with some maple syrup, berries or why not this quick and easy blueberry raspberry jam? These pancakes have become a staple at our place on Sundays and are demanded by my son (and me). Mix all the dry ingredients in a bowl. Add the rest of the ingredients and whip the batter together. It is supposed to be a little bit thick. Take a ladle of choice and click 2-3 ladle-fulls (depending on ladle size) in the skillet. When you see bubbles and the pancakes start to dry up a little, flip them over and continue to fry on the other side until brown. If the pancakes are getting too dark, just lower the heat. Grease up the skillet if needed and repeat steps 4 & 5 until you’re out of batter. Tip: You can add pretty much anything to the batter if you like. Blueberries, bananas, chocolate, be creative! Hi, I’m Olle. I like cooking and I like to do so without using meat, egg or dairy. 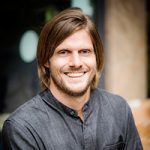 I also like to work out and I want to share all of this with you on this blog. I hope you like it. I will share with you my favourite vegan recipes for those of you who would like to try on a plant-based diet. You will also find lots of information on training on a plant-based diet in the workout section and blog posts about me trying to lead a healthier lifestyle.